Great Scott! Who was Scott? On Back to the Future Day, the origin of Doc Brown’s favorite phrase. Great Scott! Who Was Scott? The Origin of Doc Brown’s Favorite Phrase, Explained. Who was “Scott”—and was he really that great? Today is Back to the Future Day, the day when we finally reach the precise date of Back to the Future II, survey the fact that we got memes instead of hoverboards, and utter Doc Brown’s favorite exclamation: “Great Scott!” But who was Scott? U.S. Gen. Winfield Scott, probably. 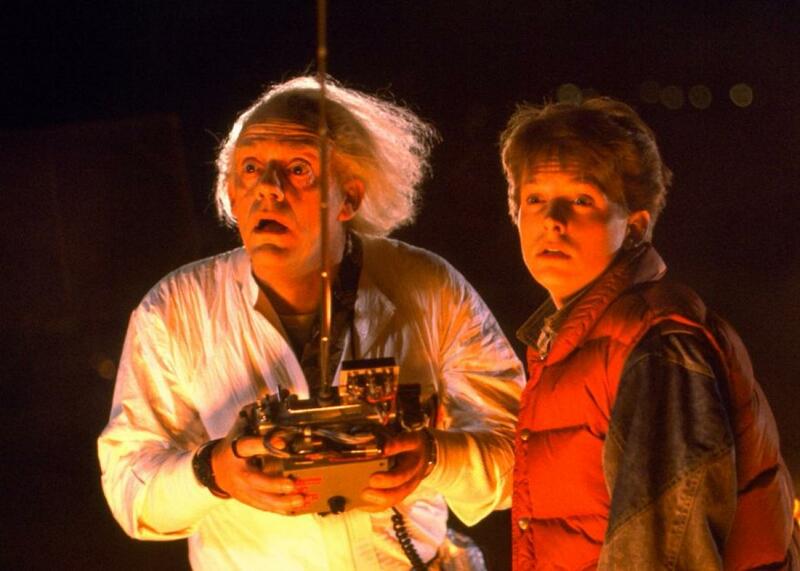 There are many theories about the origin of the phrase Great Scott! For example, Wikipedia offers a decades-old theory that suggests it’s a corruption of the German greeting Grüß Gott (“good day,” though a more literal translation would be “God greets you”). However, as the British etymologist Michael Quinion has pointed out, this explanation doesn’t make much sense: The German phrase is both used in different contexts and sounds quite different in the mouth of a native German. I follow General Scott. … We used to swear by him in the army. Great Scott! the fellows said. “Great—Scott!” he gasped in his stupefaction, using the name of the then commander-in-chief for an oath, as officers sometimes did in those days. The phrase may have become associated with other Scotts in later years—Wikipedia points to later uses of the exclamation where it referred to the writer Sir Walter Scott—but there’s nothing to suggest that the phrase originated with any of these other (and perhaps lesser) Scotts. When I put the question to lexicographer Jesse Sheidlower, the former president of the American Dialect Society, he told me that he agreed with Fred Shapiro, the editor of the Yale Book of Quotations, and others, that the current evidence strongly points to the great general. 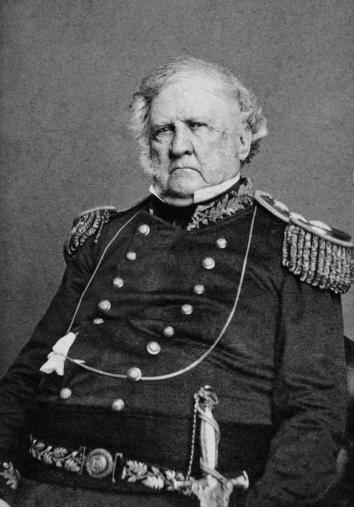 There’s also one other factor that may help explain why soldiers took to exclaiming, “Great Scott!” In addition to his stature in the army, Winfield Scott was also quite literally great: According to Wikipedia, he remains the all-time tallest major candidate for president of the United States, at 6 feet 5 inches. By the end of his life, he reportedly weighed more than 300 pounds. Thanks to lexicographer Jesse Sheidlower and to the Quote Investigator, Garson O’Toole. *Correction, Oct. 27, 2015: This post originally misidentified Robert Knox Sneden’s book as a “diary.” It is a memoir based on contemporary diary entries.